Black power-coated enamel, extra wide dustpan. Strong and durable. Stiff bristle dustpan and brush set. Wooden broom complete soft 12'. 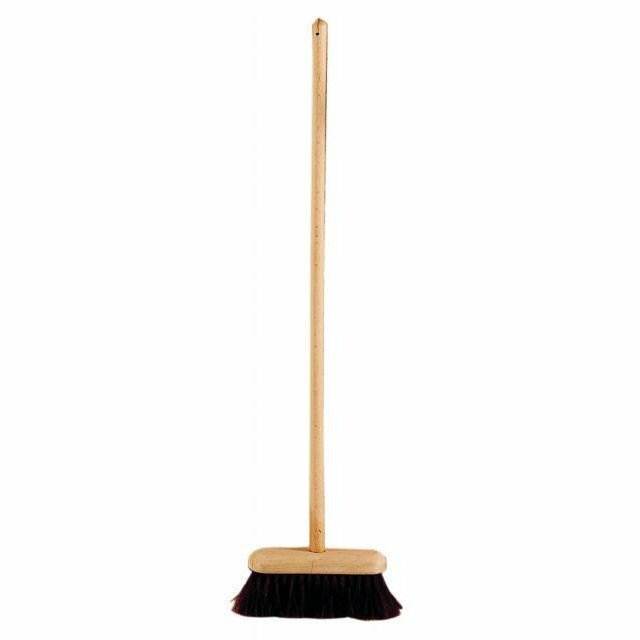 A hardwearing general purpose broom for cleaning and sweeping. The humble broom is therefore a truly cosmopolitan tool, with hardwood stocks for the handle and head into which the bristles are set mostly originating from Britain! Wooden broom complete 12' stiff. 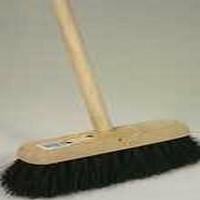 A hardwearing wooden broom for general purpose cleaning and sweeping.